The purpose of The Radical Truth podcast is simple: we want to search out the radical nature of the truth as revealed in God’s Word, the Bible, and learn about Jesus our wonderful, loving Savior. We also want to learn on how to live out this radical faith that Jesus created. 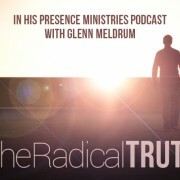 Each podcast is roughly 30 minutes and features the fiery teaching of Glenn Meldrum. At times he will debut a song written and performed by young Christian musicians. Subscribe to this podcast so you won’t miss a single episode. James 1:9-12 are the verses we will study in this podcast. The state of rich and poor is a principle subject of this lesson and we will see the phenomenal way that James addresses this hot topic issue. We will also dig into some of James’ thought on what it means for a Christian to persevere. This is an exciting lesson. James 1:5-8 are the verses we will study in this podcast. The three main subjects of these four verses focus upon our need for wisdom to live the victorious Christian life, how faith is an integral part of this and how being double-minded is ruinous. This is an interesting and challenging lesson so don’t miss it. Our new study is on the Epistle of James. The first half of the lesson is an introduction to the book, while the second half digs into the first four verses. James immediately begins his letter in the fiery manner that is keeping with his writing style. He is a very practical preacher and the first thing he does is to declare the divinity of Christ. He then goes on to encourage us to have joy in the midst of our trials. John 21:15-25 are the verses we will examine in this final episode in our study on the Gospel of John. We will learn why Peter denied the Lord and what it means to love Him. The loving heart of God is revealed in these verses through the act of reconciling Peter to Himself. This is a moving portion of the Gospel that is a powerful way to end this eyewitness account of the life of Christ. Verses 1-14 of the 21st chapter of John is the portion of Scripture we will study in this podcast. What we see here is John’s final account of Jesus appearing to some of the apostles before He ascends to the Father. This is a wonderful portion of the Word that deals with some interesting truths. We also see here the Lord’s desire for the disciples to fellowship with Him, which is the greatest privilege given to mankind. John 20:24-31 are the verses we will be studying in this lesson. This portion of Scripture mostly deals with the apostle Thomas and his encounter with Jesus. There are some profound truths that come out in this lesson so don’t miss it. The focus of John 20:19-23 is on the resurrected Savior revealing Himself to the disciples. We will see how Jesus greeted them and a small portion of what He taught. These were extremely important times Jesus had with the disciples because He was pouring into them truth that would be essential for them to have after He ascended into heaven. We will also look at what Jesus breathing on the disciples was all about and touch on the authority Jesus gave His followers. This is an exciting message. This lesson on Jn. 20:1-18 are the beginning verses on Christ’s resurrection from the dead. The first disciples Jesus showed Himself to were women and we will look at the reasons for this and what this means for us today. We will also see the basic timeline of the events concerning His resurrection. This is an encouraging and convicting message that you don’t want to miss. In today’s lesson we will accomplish two things. First, we will finish studying the seven last sayings of Jesus from the cross and will mainly focus upon the seventh which is, “Father, into your hands I commit my spirit.” Second, we will finish studying John chapter 19:31-42. In these verses we will see Jesus pierced with a Roman spear to prove He was dead and to fulfill prophecy. Then we will see two members of the Sanhedrin Council that condemned Jesus actually burying of Him in a very respectful manner. In our study of the Gospel of John we are in chapter 19, In our last lesson we looked at three of the last seven sayings Jesus spoke from the cross. I decided it would be good to study these seven last sayings so that is what we will do. Today we will examine the first four and I recommend that you don’t miss this lesson because this is a very powerful. In John 19:26-30 we will look at a portion of Christ’s crucifixion. There are three points that we will examine–our Lord’s interaction with His mother, His cry “I thirst” and his declaration, “It is finished.” This is a powerful portion of Scripture that we need to clearly understand. John 19:10-25 focus upon the final events of Jesus trial before Pilate and His being crucified. In John’s account of Christ’s crucifixion he isn’t trying to repeat everything the other Gospels teach, but is supplementing the account so that putting them all together we have a full picture of what happened. The truths we learn in this portion of Scripture are a necessary part of what true followers of Jesus must know. John 18:1-9 are the verses we are studying in this podcast. We will look at Christ’s scourging and a portion of His trial before Pilate. I think what Pilate said to the crowd is a very good summery of this lesson. He said, “Behold the man” and that is what we will do in this study. We will look at Jesus and a portion of His suffering as He is on His way to Calvary for our sake and salvation. This study comes out of John 18:19-38. In these verses we will examine the illegal trial that condemned Jesus to death. But we must never forget that Jesus willingly laid down His life as the Lamb of God so that we could be forgiven and redeemed. There are some truths in this section of Scripture that every true believer should know or those who are seeking the truth. John 18:1-18 is about Jesus’ arrest while in the Garden of Gethsemane. Of course, we will be looking at the wonderful Savior and the majestic and courageous way that He deals with His arrest. Every Christian needs to know these truths that will come out in this episode because they are part of the foundation of what our faith is all about. John 17:20-26 are the verses we are studying today. These are Christ’s final statements in His High Priestly Prayer before He goes to the Garden of Gethsemane and is arrested. The deep love Jesus has for the disciples comes out in a wonderful way in these verses and the victory He offers us is clearly seen as well. This is a profound portion of Scripture that is worth taking the time to study, so don’t miss it. Jn. 17:9-19 are the verses we are looking at in this study. Jesus is praying for the disciples. Though He is touching on many different subjects in these few verses what Jesus is praying is of tremendous value for Christians of all eras and nations. His prayer is moving towards the subject of sanctification, which is being set apart from the world to be set apart unto God. This is a message we are in desperate need of today. In this podcast we will study John 17:1-8. This is Christ’s High Priestly Prayer where He intercedes to the Father for the disciples. In the first five verses Jesus prays for Himself, but they are very selfless prayers that the Father would be glorified in the Son. In verse six Jesus begins praying for the disciples. There are some powerful lessons in this portion of Scripture so be sure to listen. In this podcast we will study John 16 verses 23 to the end of the chapter. This portion of Scripture is Christ’s final admonishments to the disciples before He is crucified. The two primary subjects of this section of the Bible is prayer and victory over the world. Both are an integral part of living the victorious Christian life. Because Jesus was and is the absolute victor we can pray to the Father in His name and walk in the victory He owns by right as Creator and Redeemer. John 16:8-22 are the verses we are studying in this podcast. The principle subject we will examine is some of Christ’s teaching on the ministry of the Holy Spirit. This is some very necessary truths that Christians need to understand so don’t miss this one. In this lesson we will study John 16:1-8. Jesus addresses two subjects in these verses and they are interwoven with each other–they are persecution and the Holy Spirit. Jesus did this on purpose because the Holy Spirit is needed in the life of every true believer, but He is uniquely needed in the lives of those who are persecuted for Christ. This is a soul-stirring message. The principle subject of today’s lesson is Christ’s teaching on the persecution His followers would face. The section of Scripture will we be studying is John 15:17-27. Jesus taught much on persecution because if the world hated Him it most certainly will hate His followers. This is a very important subject for us to understand today so don’t miss it. In our continuing study of the Gospel of John we will examine verses 14-16 of the 15th chapter. There are some wonderful promises in these three verse, such as our being given the privilege to be literal friends of Jesus if we will live a life of loving obedience to Him. There are some very challenging truths that we will dig into so don’t miss this lesson. The Gospel of John 15:7-13 are the verses we will study today. This is a continuation of Jesus’ discourse on what it means to abide in Him. What Jesus is teaching on abiding is extremely radical if we understand what He is teaching. All those who truly love Jesus will love His teaching on abiding. So listen, be blessed and grow in Christ. This lesson takes us into the first four verses of John chapter 14. The first verse Jesus said, “I am the true vine, and my Father is the gardener.” In these verses we will learn a little about what it means to abide in Christ. To teach this principle Jesus gave us the parable that He is the Vine and we are the branches. This reveals to a small degree the relationship Christ has with His true disciples.